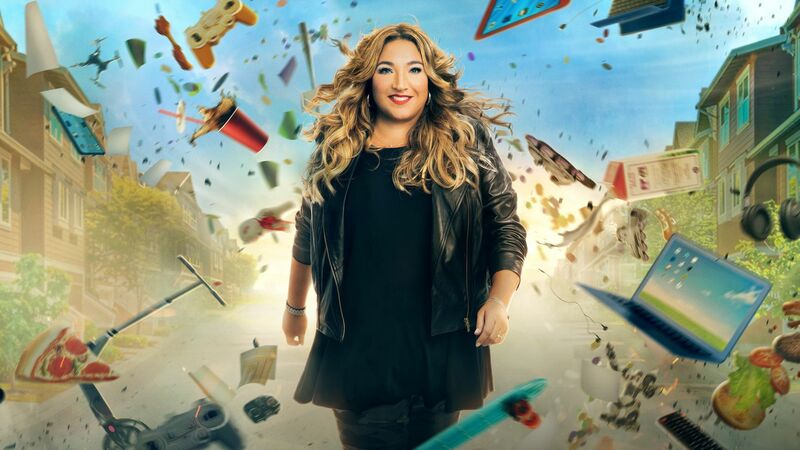 Here's where to watch every episode of Supernanny season 5. Mouseover or tap an episode to see where to stream it. Click or tap the play icon to stream it on the best available service. Baulisch Family Oct 10, 2008 Dorothy and Kip Baulisch of Papillion, Nebraska, are deaf parents raising four hearing children – and it’s not going well. Eldest daughter, Melissa, 18, has ended up the full-time interpreter for her parents and younger siblings – but they’re out of control. Can Jo Frost close the communication gap and bring the Baulisch family back together? Park Family Oct 17, 2008 For the first time ever, Jo comes to the rescue of a nanny in over her head, as well as the helpless parents, in dealing with the rambunctious Park children… all the kids act out, refuse to follow instructions and take dangerous risks involving aggression, scissors, and swimming pools… Can Jo help these parents learn to bring out the best in their kids? Winter Family Oct 24, 2008 The Winter family is living in a perpetual storm: the four youngest are out of control and dad can’t accept that 17-year-old Kristin is growing up and needs more freedom. Can Supernanny bridge the gap between father and daughter and bring some sunshine to the Winters? Newsome Family Oct 31, 2008 Single mom Blythe Newsome is trying to manage six children in a tiny house – and her little angels have morphed into holy terrors. Mom gives into them for a quiet life… but life with these kids is anything but. Can Supernanny help this single mom take control of her family? Manley Family Nov 7, 2008 John and Sarah Manley have been separated for over six months – but their indecision over trying again or getting a divorce is confusing their kids. Max, 7, and Claire, 4, can’t figure out what’s going on… and their reaction is anger, backchat, fighting and tantrums. Can Jo to help them navigate this heartbreaking transition? Howat Family (UK) Nov 14, 2008 Jo Frost hops a plain back to the UK to help single mom Tara Howat take back the power from her three firebrands! The Lewis Family Nov 21, 2008 Before he died, dad Dwight Lewis called on Supernanny to ask if she could help his wife Antoinette cope with parenting alone while she grieved his loss. Can Jo help widowed Antoinette Lewis find a routine – and peace of mind? Lewis Family Dec 12, 2008 NBA guard Mike James faces off against a foe more formidable than his opponents on the court… Supernanny has a bone to pick with him! The Porter Family (UK Episode) Apr 10, 2009 Jo works with a couple whose 9-year-old daughter rules the house, throwing tantrums like a toddler and teaching her younger brother to behave the same way.